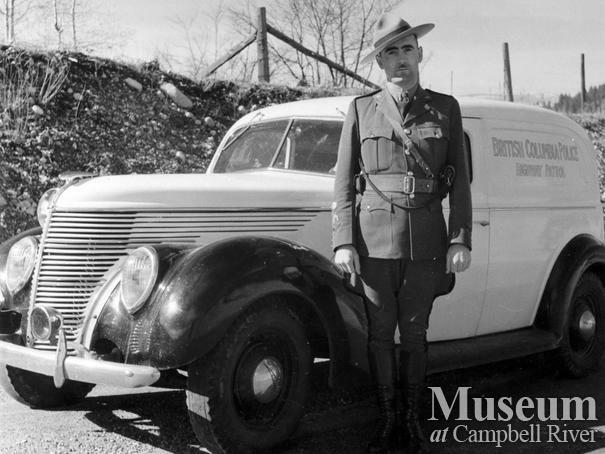 "Milton (Mac) MacAlpine came to Campbell River as a policeman in 1933." [Diamond in the Rough, p.163]. He was a member of the B.C. 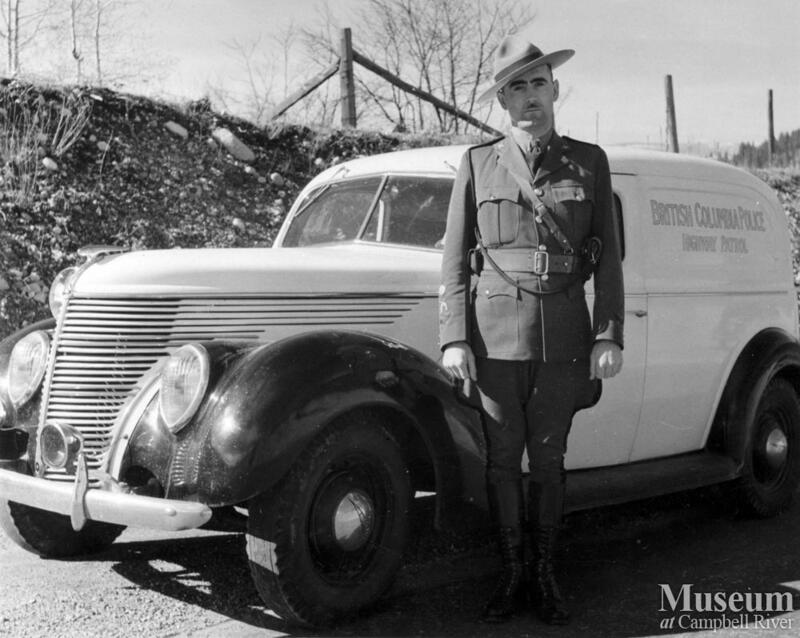 Provincial Police and is seen here with a highway patrol vehicle.